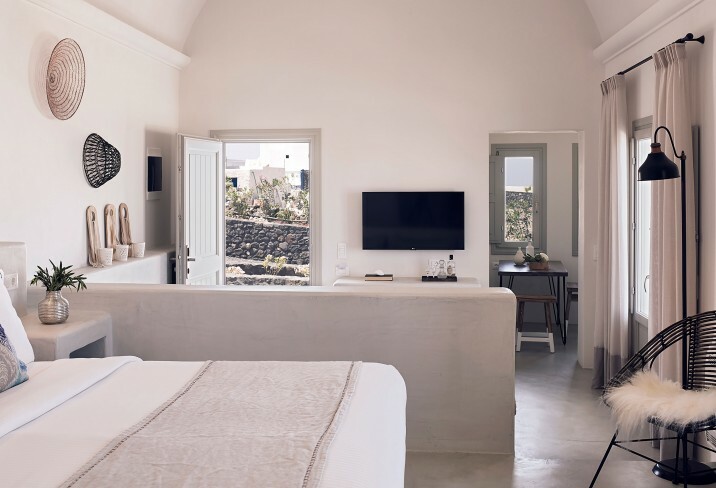 Description: The Santo Maris Oia is a beautiful new property offering luxury suites and villas in the beautiful village of Oia on the island of Santorini. 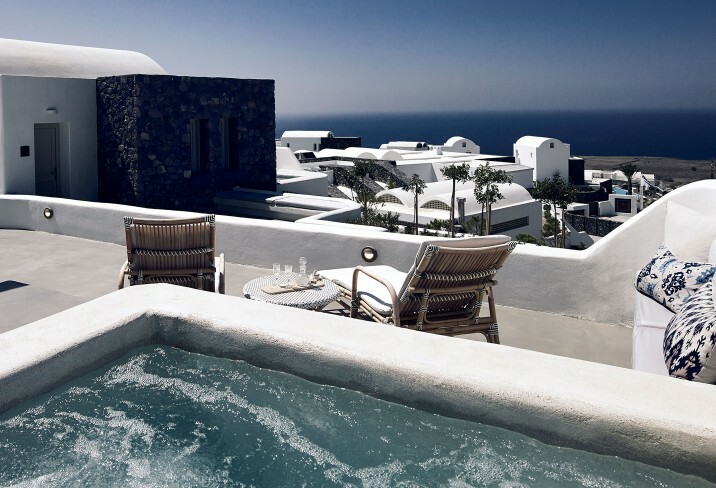 Each of the hotels luxurious suites and villas come with private heated jacuzzi with sun loungers placed on your private area. 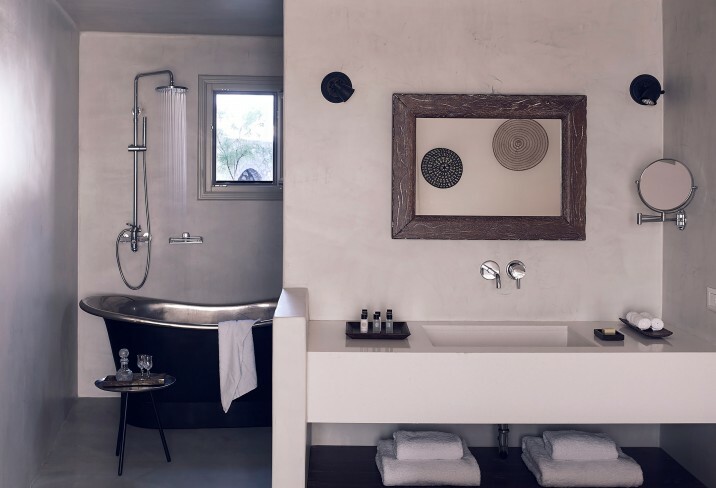 The accommodations have been beautifully furnished using local materials and fabrics creating a soft calm environment. 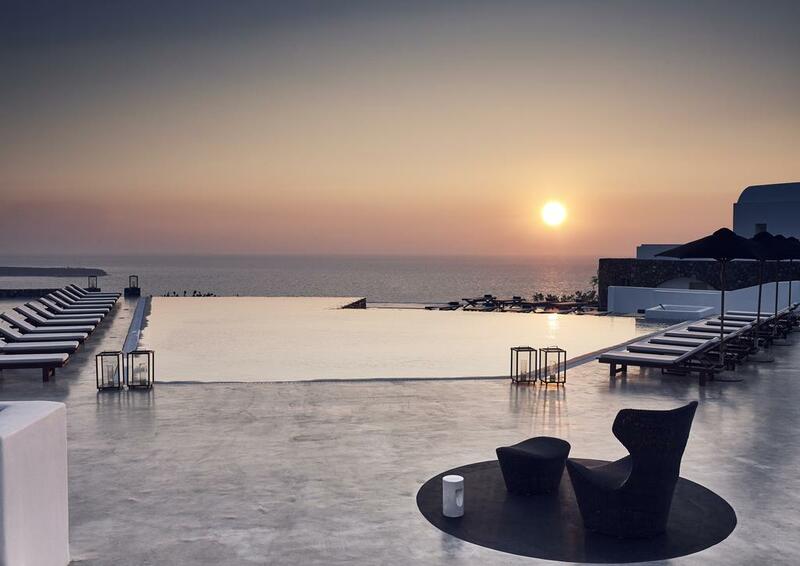 The hotels infinity pool looks out towards the shimmering Aegean and the nearby islands of Ios and Amorgos, here you can enjoy a delicious cocktail as you experience the most amazing sunsets. 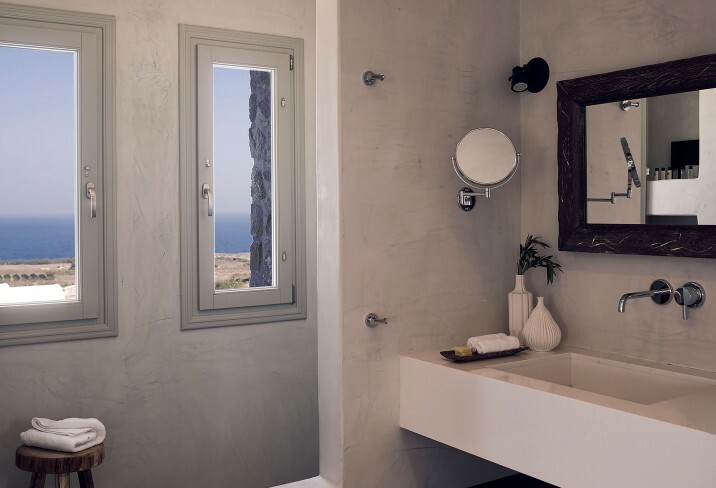 Each morning enjoy a tasty breakfast served in the Alios ilios restaurant offering various homemade and local products. 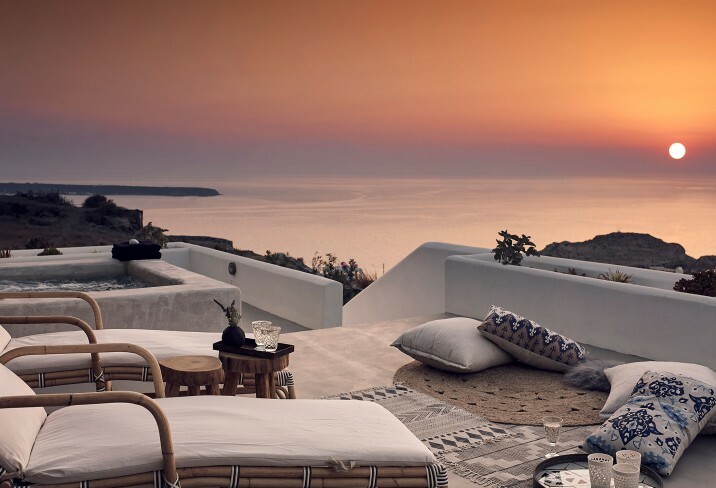 Dinner times are a special treat with many of the products being locally sourced from Santorini or from the nearby Cycladic islands and Crete. 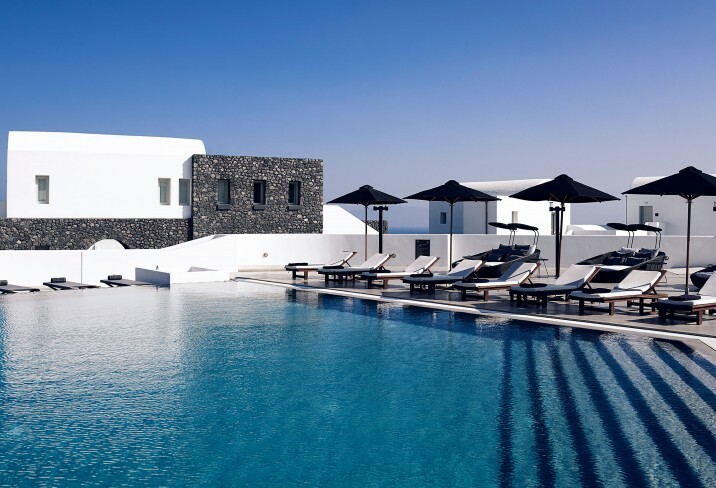 Fresh seafood, the best cuts and herbs from the hotels kitchen garden, special menus including vegetarian and vegan are also available. 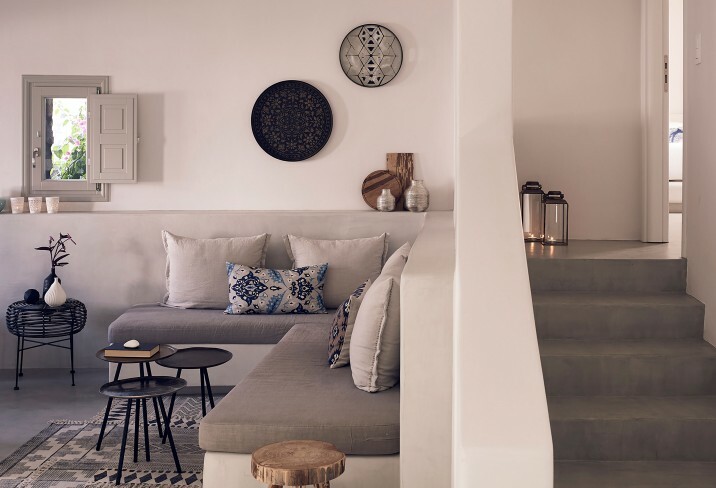 The Santo Maris Oia Luxury Spa offers offers a range of treatments and relaxation therapies is a wonderfully relaxed atmosphere. 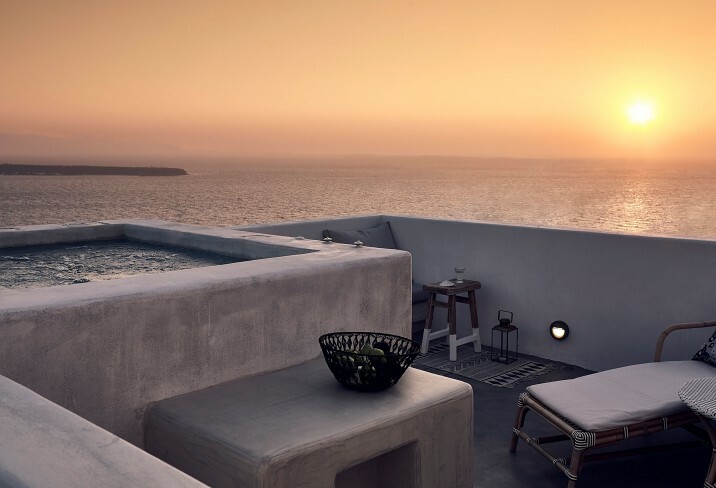 This luxury boutique hotel is the perfect choice for a romantic break or honeymoon, with amazing views, luxurious accommodations and truly 5 star facilities. 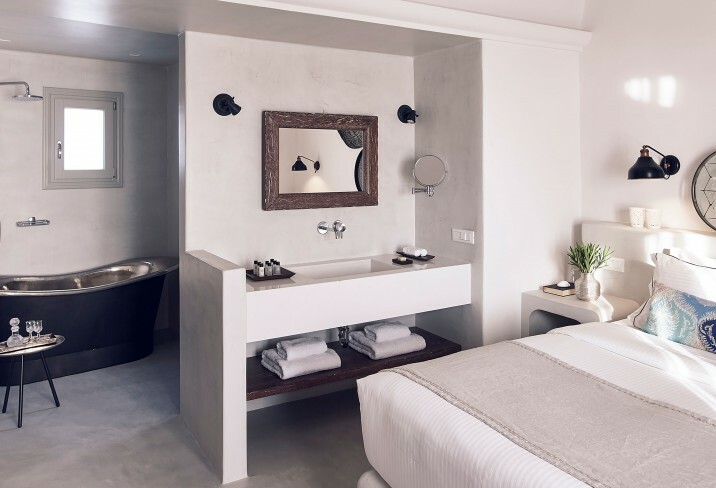 Each of the suites and villas at the Santo Maris Oia have been luxuriously furnished to the highest level, all with private heated jacuzzi. 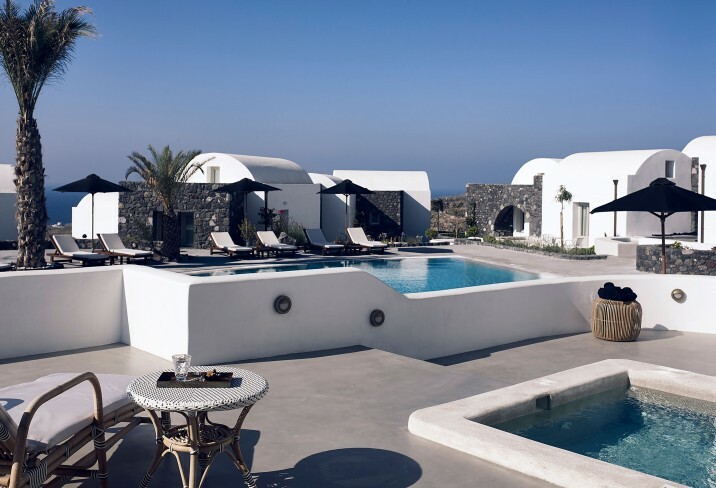 They are decorated and themed on different Greek islands of the Aegean Sea, each giving a slightly different experience. 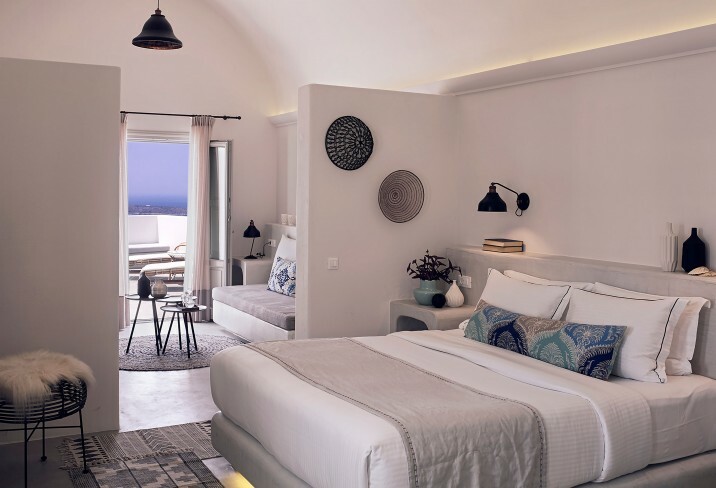 Every Suite’s design and decoration is inspired by Santorini architecture.